For the first 3 years of my daughter’s life, I worked at a soul-sucking corporate job and I barely got to see her. 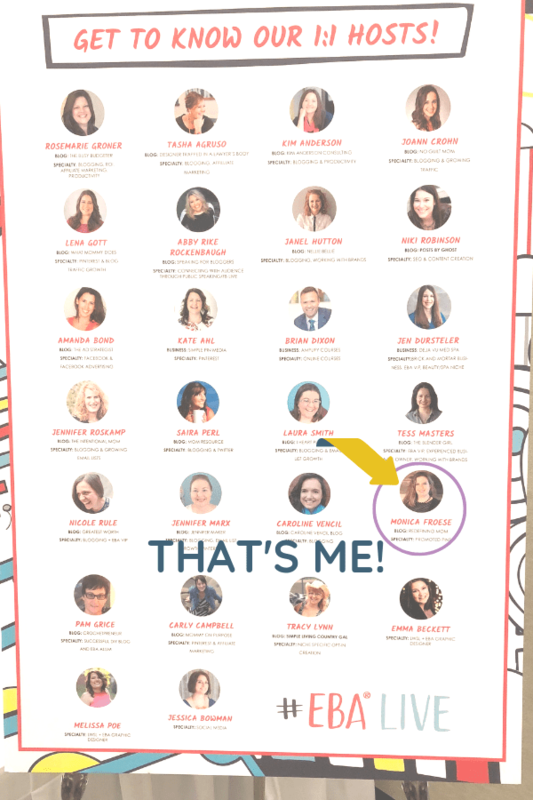 In April 2015, I was invited (because of this blog) by President Obama to share my story as a working mom with his senior advisors. The President wanted to know from real people what could be done to help working moms achieve work/life balance. I left there on fire to make a difference in the lives of working moms through my blog. The only problem… I had no idea what I was doing! The President found me when I wasn’t even trying. Imagine what would happen if I knew what I was doing? 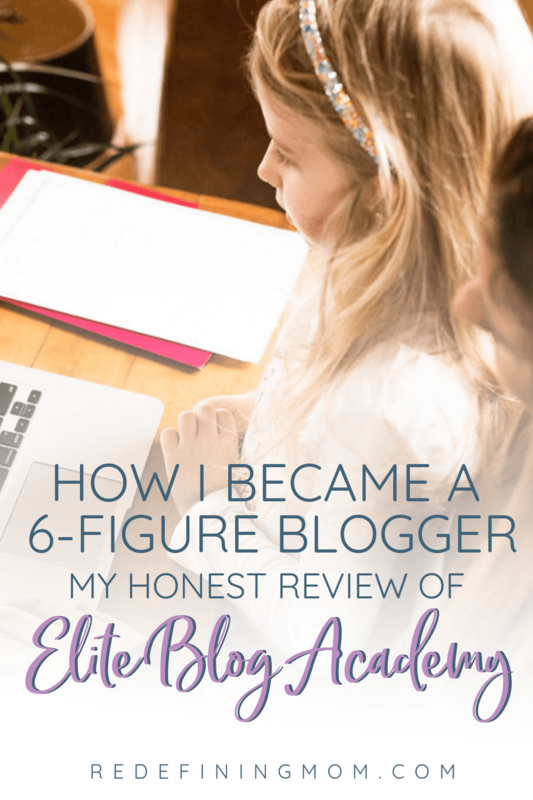 I found Elite Blog Academy (EBA) in September 2015 and I haven’t looked back since! ELITE BLOG ACADEMY IS CLOSED FOR ENROLLMENT! Get on the waiting list by downloading one of these awesome freebies. Ahhh…. the million dollar question and it’s a GOOD one. You have every right to ask it too! My goal is to give you no b.s. and 100% transparency. Let’s get real with the money I make off of recommending Elite Blog Academy. I make a 40% commission on the sale of EBA if you decide to buy it through my link. In 2018, I made over $18,000 in 5 days promoting EBA to my audience. I was on the top 5 list of affiliates in 2018. This means that out of hundreds of people promoting EBA, I was one of the top performers. So, I have everything to gain from you buying EBA through my link… right? I stand to gain absolutely nothing if I lie to my community. In 2019, Elite Blog Academy costs $997. This a serious investment! If I lead you astray with an investment of this size, why on earth would you ever listen to a word I say or buy from me in the future? You wouldn’t. I would lose way more than I would gain in the 5 days I promote EBA every year. Because EBA was LESS than 5% of my revenue for 2018. This is so very important to understand because I’ve heard (more than once) that some bloggers only make money by promoting EBA. I can tell you this is 100% not true when it comes to my business. Let me be really clear: I would make more money launching my successful promoted pins course again than I do for recommending EBA. And by more, I mean almost 3x as much for practically the same amount of work. It makes ZERO sense for me to promote Elite Blog Academy unless I truly believed in it. When I say I believe EBA can change your life, I mean it. But it still might not be right for you. Read on to find out exactly what you need to know to make an informed and educated decision about EBA. Now, are you ready to dive in? Let’s do this! What Exactly is Elite Blog Academy? Elite Blog Academy is a comprehensive blogging course broken down into four main themes: refine, grow, monetize, build. 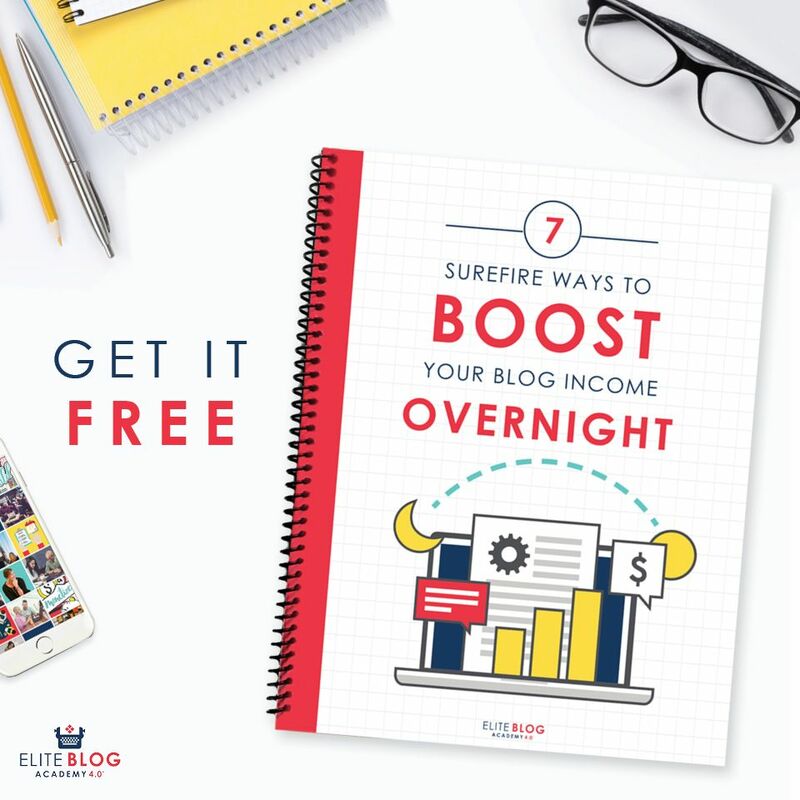 In 12 modules and over 30 different assignments, you’ll be given a successful framework for building a blog, a tribe of raving fans, and ultimately a business that makes you money. In August 2016, I quit my corporate job after completing Elite Blog Academy which I purchased in September 2015. I launched my first eBook, Busy Moms Building, in September 2016. In December 2016, I turned it into a full course which now has over 2,000 students! In late October 2016, I launched the Redefining Mom Facebook group where over 5,000 women came to connect and share their entrepreneur journey. In early 2017, I ran my first group coaching program and began offering 1:1 coaching (which I no longer offer). 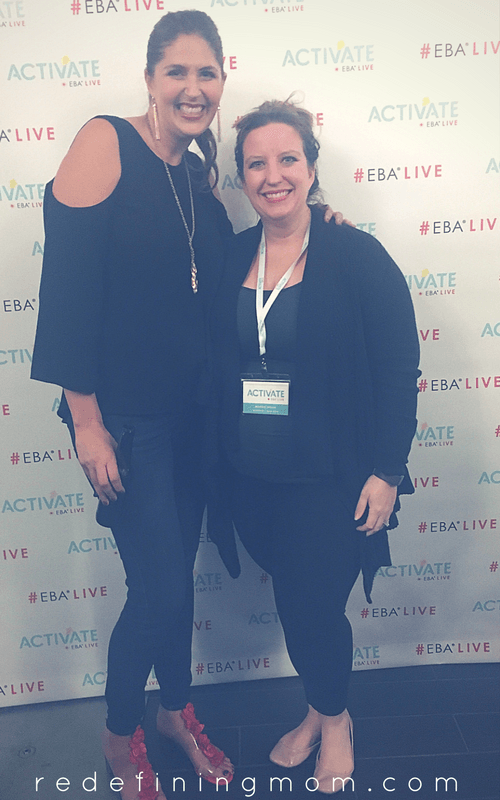 In 2017, I launched two more successful courses using the EBA Product Launch Playbook, making over $60k in course sales! In 2018, I launched my first 6-figure course on how to run successful promoted pin campaigns, Pin Practical Promotions. …and these are just the highlights. NONE of this would have been possible without first investing in myself and gaining the knowledge I needed to succeed at online business. Elite Blog Academy is one of the few online courses that I’ve taken from start to finish. It took me eight months to complete the whole course and do all of the assignments, correctly. Coincidently, finishing the course coincides with when I finally pulled the plug on my almost 11-year old career in tech. <– YES, this is a pretty big deal. I made a very comfortable salary at my day job. Let’s begin by looking at the cold hard facts. Statistics. Everyone wants to know how EBA influenced my blog stats. First, I want to make something very clear. My monetization strategy is NOT to chase page views I make money primarily through affiliate marketing, email marketing, and my own products. However, none of this would have been possible if I did not have a platform to communicate with people– that platform is my blog. My strategy is to pull people in from Pinterest and Google and get them on my email list. Once they are on my email list, I nurture them with email sequences and eventually recommend an affiliate product or my own products. EBA helps you set up the foundations for using your website as a tool in your business. INCOME: I closed 2017 by replacing my corporate salary plus more! Feb 2019 – These stats are no longer the key metric in my business. My email list has more than doubled since early 2018. I transitioned to an S-Corp in 2018 and now pay myself on payroll. My blogging business generates multiple 6-figures per year. The metrics I do care about now include email list growth and profit per email address subscriber. I put a huge focus on creating new content through free opt-ins for my email list and paid products. I make approximately 70% of my income from my own products and 30% through affiliate marketing. I’m not the only one who has turned their blog into a thriving online business with EBA. You can read more Elite Blog Academy Success Stories. I started blogging at Redefining Mom® in July 2013 when my daughter was 9 months old. 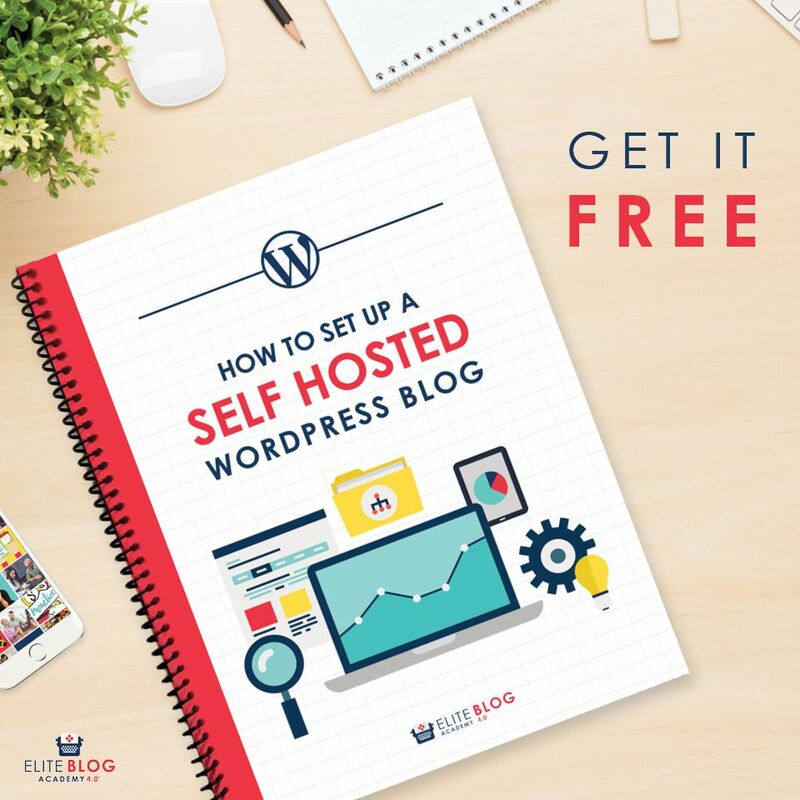 At the time, I knew nothing about how to blog, I didn’t even know what WordPress was little alone self-hosting and how to buy a domain name. What I did know was that I had something to say and I wanted a platform to say it on. I wanted to connect with other working moms who were going through the same struggles as I was and needed a place to feel like it’s okay. It’s okay to feel overwhelmed, stressed out or lonely on your journey. It’s okay to admit you can’t do it all. It’s okay. You see, I suffered from postpartum PTSD due to birth trauma. When I started blogging, I hadn’t been diagnosed yet, but I knew my dream of climbing the corporate ladder was crashing down around me. I was sad, overwhelmed, bitter, and a little bit angry. Why did I work my tail off building my career and getting my MBA just to quit? Why did the United States not offer any paid maternity leave? Why was it acceptable for large corporations to not offer flexible work arrangements for new moms? There had to be a better way and I was determined to find it. Blogging turned out to be a lot of work, a lot more work than I could have ever imagined. As I got to know more about it, I realized that a lot of women have turned their blog into real profitable businesses. Wait, what? People made money writing about topics they were passionate about? I could do that! If I could survive corporate America, I could do this. Or so I thought. It turns out, I really had no idea what I was doing. By March 2015, my little blog was chugging along with little focus from me. I went months without logging in or posting something new. Social media? Forget it! I was traveling now for my marketing career in technology and I barely had time to spend with my daughter little alone blogging. That changed the day the White House reached out to me to participate in a working families event. I was considered to be a member of the press because of my blog. I got invited into the West Wing and met President Obama right outside the Oval office! My opinions about flexible work-place arrangements and maternity leave were being heard by the most important people in the world — all because I started a blog! My visit to the White House sparked a renewed interest in using my blog to transform the lives of women around me. If I was found by the highest office in the country without even trying, what would happen if I started trying?! 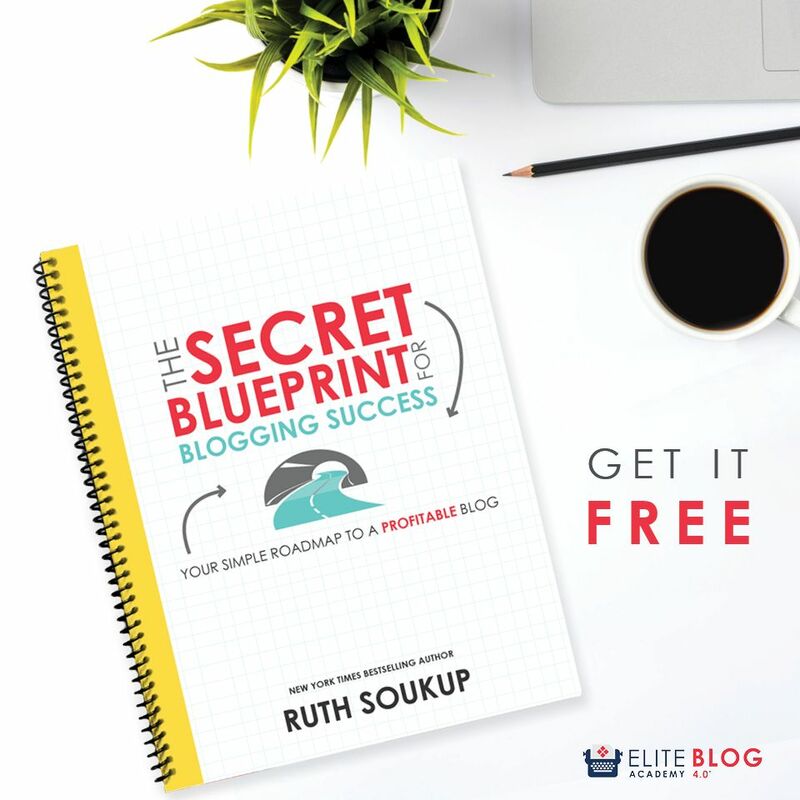 I found Elite Blog Academy because I followed the creator, Ruth Soukup. I began following her at the time when she was still a couponing blog, Living Well Spending Less, back when Extreme Couponing was on TLC and it was the hottest topic around. I was on her mailing list from years ago and kept seeing enrollment emails for this course and started to dig a little bit more into what it was. I purchased in September 2015 and I started taking the course serious in January 2016. I finished the course in August 2016, right when I quit my corporate job and was about to launch my eBook. I learn best when content is laid out in a logical manner and there is a way to see progress being made. Each step builds on each other. This is not meant to be completed in one month. Running an online business or blog is A LOT of work! You have to be in it for the long haul if you want to be successful. Ruth shows you how to do that in this program. Elite Blog Academy is broken down into four modules: Refine Your Message, Grow Your Audience, Monetize Your Blog, and Build Your Business. My blog’s success is closely mapped to each of these four modules. This is why it’s so important to make sure you complete each module in order and DON’T SKIP ANY OF THE ASSIGNMENTS! As someone who already had a blog when I purchased EBA, it was tempting to skip the first module. I’m so glad I didn’t! Let me introduce you to Kate. Kate is the avatar Ruth helped me identify in assignment 3. Kate is more than a bunch of generic facts like age, gender, location, marital status, number of kids, etc. Kate represents the hopes, dreams, challenges, and struggles of the person I am trying to serve in my blog posts and weekly emails. What is Kate’s felt need? What can I write to Kate that will compel her to take a transformative action in her life? Not everyone who follows you will fit your Kate perfectly and that’s why most people skip over the avatar exercise because it’s hard to alienate people who might be a potential customer. Takeaway: Name your avatar and only talk to her. The more dialed in your message is, the more successful you will be. It may feel counterintuitive but this is the real secret to being a successful blogger. This module is where the magic happens. You’ll start building your email list, networking with other bloggers, and getting your content seen on social media. Blogging is NOT about your blog, it’s about your email list! It’s encouraging to hear a very successful blogger (Ruth) confirm this fact. Ruth is constantly reiterating that success rests with your email list. Your blog is the start of your funnel. Your blog is an entry point to bring people to your email list. So often bloggers get caught up in page views and they forget they’re missing a key opportunity. An email address gives you a one-way ticket inside of a potential customer’s most valuable digital space — their inbox. Think about it, what good does a 30-second page view from Pinterest do for you? (This is the exact reason I created my course, Pin Practical Masterclass). The chances of a person ever coming back to your blog again are incredibly slim unless you can pop into their inbox and regularly remind them you exist! Takeaway: If you want to turn your blog into a business, you must have an active and engaged email list. As I mentioned earlier, I make 70% of my income from my own products and 30% from affiliate promotions. Ruth dives deep into both topics in this module. Thanks to following EBA’s advice, I have over 15,000 students enrolled in my courses! EBA shows you how to create your first baby seed launch which is exactly what I did when I launched my first course, Busy Moms Building. I have since gone on to create an entire product suite under the Redefining Mom brand. I use both the evergreen and launching models to consistently bring in $20,000+ in revenue from my products each month. In November 2017, I followed EBA’s Product Launch Playbook and the baby seed launch from unit 8 and sold an advanced level course on promoted pins to 20 people before it was even created. This was my beta group. In January 2018, I launched the course, Pin Practical Promotions, to my email list and 65 people enrolled! I used the tactics Ruth teaches in unit 9 to nail my sales copy. I focused heavily on compelling testimonials from the beta group. As of February 2019, this course has gone on to earn well over 6-figures as I continue to refine my launches. Takeaway: As Ruth says in unit 8, it’s time to rip off the band-aid and launch your first product. You won’t regret it! This is the amazing part of EBA, your work is never done. My blog is now a business that provides more than a full-time income to my family. I’m still learning and implementing from Elite Blog Academy. If you really want to be successful as a blogger, you must treat your blog like a business. The entire last module of EBA is dedicated to showing you how to structure your blog like a business. In 2018, I worked on unit 12, building my team. As a self-proclaimed, hyper type-a person, delegating is not easy for me. It’s one of the areas I struggle with most in my business. Ruth teaches how to lead effectively and how to hire the right people. Takeaway: Your blog is only a business if you treat it like a business and act as the CEO. …Maternity leave on my own terms. In 2018, I gave birth to my second baby girl. It took me five years to consider getting pregnant again after my rough transition back to the corporate world and suffering from postpartum PTSD. Blogging has provided so much to my family and I. I am forever grateful that I found EBA and was able to repurpose my corporate marketing skills in the blogging world. I don’t feel like I walked away from a career or my MBA. Instead, I believe EBA helped me realize my full potential and take control of my circumstances. Without EBA, I’d still be facing 12 hour days in corporate, traveling all the time, and barely seeing my daughter. But now, I’ve built a solid business foundation that has allowed me to continue earning a full-time income while adjusting my schedule to 20 hours a week while dealing with the demands of pregnancy and a newborn. After my second baby was born, no one is pushing me to put her in daycare and return to a demanding office job. Since I took the time to build a solid foundation following EBA, I was able to self-fund my own maternity leave. The best part? My blog continued to make money even when I was not actively working. In fact, up until that point, I had the highest profit months in my business during my maternity leave! I get to make decisions based on what’s best for my family and me because of blogging. There’s no other career that allows the flexibility I’ve received from seeing EBA through to the end. I’m so happy I didn’t give up. 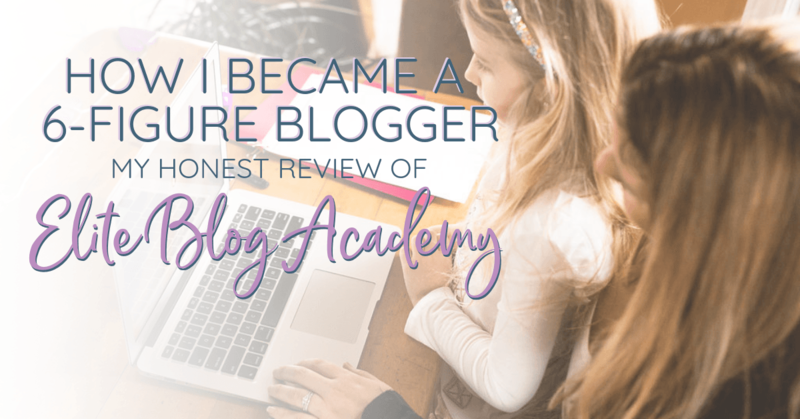 In October 2018, all of my hard work with Elite Blog Academy came to fruition! Ruth invited me down to Tampa to film the new version of the course, EBA 4.0. Honestly, who would have thought that a blog I started to vent my frustrations about being a working mom would turn into a real business? I know firsthand that EBA 4.0 is going to be a game-changer. I hope you’ll be joining us inside the EBA community this year! #1 I am completely new to blogging and feel extremely overwhelmed by all of the information out there. Will EBA help me? First, EBA does not show you how to set up the backend of your blog. Ruth begins her teaching by walking you through the strategy behind starting a successful blog. If you don’t have a website set up yet and you’re worried you won’t be able to figure it out once you buy EBA–I’ve got you covered! Check out my free tutorial on how to set up your blog! I personally don’t want the tech side of blogging to stop you from starting. I’ve got ya there! Second, what I love most about EBA is that Ruth built it as building blocks. Instead of throwing a bunch of advanced strategies at you and sending you on your way, she builds each concept off of the last one. EBA will lead you through 12 different units and 36 assignments. EBA teaches you how to be intentional with your blog so that you don’t waste time spinning your wheels. #2 I’ve been blogging for a while and feel like I’ve got the basics (and maybe some advanced strategies) figured out. Will EBA help me move forward? YES, YES, and YES again! Oh my gosh, I cannot speak enough to this point. When I bought EBA, I had been blogging for 2 years and my corporate career was in marketing. I understood all of the strategies and techniques, the problem was implementing them in a way that actually made me money. EBA is designed to help beginners, intermediate, and advanced bloggers because it teaches you how to think differently about your blog. When I first opened EBA, I wanted to skip the first 4 units because I felt like I had already built the foundation that I needed. Luckily, I followed Ruth’s advice and forced myself to do every single unit and assignment. I am so glad that I did! I ended up completely rebranding my blog based on the exercises I did in the first 4 units! 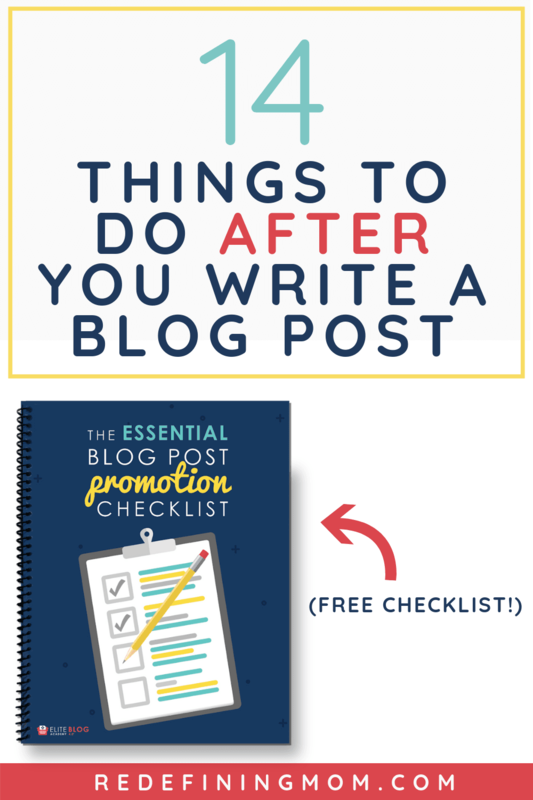 EBA also covers how to treat your blog like a business. You’ll learn how to structure your mission statement, core values, and grow a team. It is truly a comprehensive course on blogging as a business. It took me eight months to complete the entire course and at the end, I quit my corporate job. EBA is absolutely valuable even if you’ve been blogging for a while. #3 But seriously, is it worth the $997 price tag? $997 is definitely an investment and it shouldn’t be taken lightly. The course material is no doubt worth the price. The real question, I think, is whether you are willing to take the time to invest in applying what you learn in EBA. If you plan on purchasing EBA and putting it on the shelf like “all those other courses” you’ve purchased, then no, it’s not worth the price tag. If you’re serious about turning your blog into a business, there’s no other course that has been as effective for me as EBA–and I’ve spent OVER $30,000 on online courses easily! #4 Is there any circumstance in which you wouldn’t recommend EBA? I will never tell anyone to spend money that they don’t have or that would put their family at risk. I do not support sales tactics that encourage people to spend money that puts them in a bad situation. If you are running a blog making over $10k/month and understand how to leverage additional revenue streams in the future, you may not benefit as much from EBA. EBA is heavily focused on email list growth and product launching for revenue. Product creation can be physical or digital. It is not required to launch a product to be successful with EBA but I do believe it is one of the biggest benefits of the course. #5 I run a successful business but I want to grow my reach with blogging, will EBA help? YES! I have seen many business owners set up successful businesses without a blog. However, blogging is an amazing way to bring in new leads and nurture your audience. Content creation opens up many paths to additional revenue. If you’re looking for ways to reach new people, EBA will help you do that. #6 Can you explain the different packages being offered this year? Of course! There are three price levels offered this year. #7 Will EBA make me money? YES, EBA can totally make you money, IF you are willing to invest the time into completing all of the assignments. Everyone’s journey to making money with EBA will be different. EBA provides you with a framework to build a successful business. The way you choose to implement the framework will be unique to you. #8 I’m ready to purchase but my spouse thinks it’s not a good idea. Any advice on how to change their mind? This is a great question because my husband also did not think EBA was a good idea at first. Let me give you a little bit of background about my experience. When I invested in EBA, blogging was a hobby for me. I had a feeling that it could be more and I desperately wanted to get out of my 11-year corporate tech career. Look at it like this: what do you spend on your current hobbies a year? I confess that I didn’t tell my husband until AFTER I made the purchase. When he gave me the side-eye about it, I asked him how much beer league hockey cost and the hundreds of records he seems to buy each year. Now, here’s the crazy part, my husband’s hobbies have never repaid us a dime, but EBA sure has repaid us 100000x over! Technically, I didn’t negotiate with him on EBA. After I purchased EBA, I now use the hobby logic on him all the time! WORST: You invest in EBA and find out you just want to keep blogging as a hobby. Cool, you would have spent more than that on your hobby throughout the year anyway. BEST: You make a full-time income blogging after taking EBA and it turns out to be the best investment in a hobby EVER! This is how I break it down in my head. Does it help you at all? #9 Will I have access to Ruth after I purchase the course? This is a popular question and I understand why that matters to you with a $997 investment. First, I want to keep it real with you. Ruth runs a very successful business with 20-ish employees. She has over 10,000 students to serve inside of EBA. I want to be clear that I would not find it reasonable for her to be able to personally respond to everyone. This is why she has a team and a group of amazing (and successful) alumni helping her. Second, Ruth makes sure she is present in the Facebook community for EBA. In 2018, she went live and answered questions almost every single Friday. In fact, those live Q&As are on my calendar every week because they are so valuable! Third, EBA is a self-paced course. The idea is that you fit it into your schedule. As with most things in life, you’ll get out of EBA what you put in. This will take time and discipline on your side to complete and see results. #10 How long will EBA take me to complete? How long will I have access to EBA? It took me eight months to complete EBA from start to finish. The amount of time it will take you to complete EBA is largely based on how much time you dedicate towards working through the course materials. I spent about 10 hours a week on building my blog during those eight months. You’ll have access to EBA for as long as it exists! PLUS, Ruth offers a 365-day return policy. OKAY! I’m ready to enroll in Elite Blog Academy! CLICK HERE TO JOIN THE WAIT LIST FOR ELITE BLOG ACADEMY! Really appreciate your work. Please mam suggest me what should I do, what tasks, or everything I do to increase the traffic as well as increase income from Blog. Waiting for your kind response. Hi Monica! I’ve been following you this last week, Im on your fb group and I’m right now receiving your email course. I have a question, when I tried to sign up for EBA, it said it was full and I joined the waiting list. But I saw on this post that the enrollment starts on Feb 27… So does that mean that I have time for enrolling? Or do I have to wait until next year? Btw, I am learning so much through everything you do, thank you! Hi Jessica! Thank you for the sweet comment 🙂 Signing up for the waiting list is exactly what you want to do. The cart opens on Monday (2/27/17) so you’ll be getting an email from Ruth on that day with how to purchase if you’re on the waiting list. The webinar she is doing on Thursday (3/2/17) is also great (and free!) you can sign up for that here: https://ig203.infusionsoft.com/go/freewebinar/redefiningmom (this is my affiliate link). If you have any other questions let me know! Hi! I have a question about EBA that I never happen to see in FAQs. This is a super high investment and I am not questioning the degree of value! But this is like paying for a college course if not more! So I would expect the instructor to be available throughout the course. So is her support available along tge way? Hi there! Ruth is a member of the community Facebook group along with her team. The group was created to allow the community to lean on each other and ask questions. Ruth chimes in when she can as well. Her team is always available for support and questions. In fact, I email them a lot myself! Thank you for your post! I’ve been looking everywhere to find out when EBA opens again. I’ll mark my calendar! You’re very welcome, happy to help! Monica thanks so much for your reply! One last question (since i’m seriously considering a purchase this year) What investments are needed along the way in order to complete asdignments? Such as the technolical gaps, email marketing, design, etc. Anything you can think of! What do you remember investing in, that I may need to make this course work?